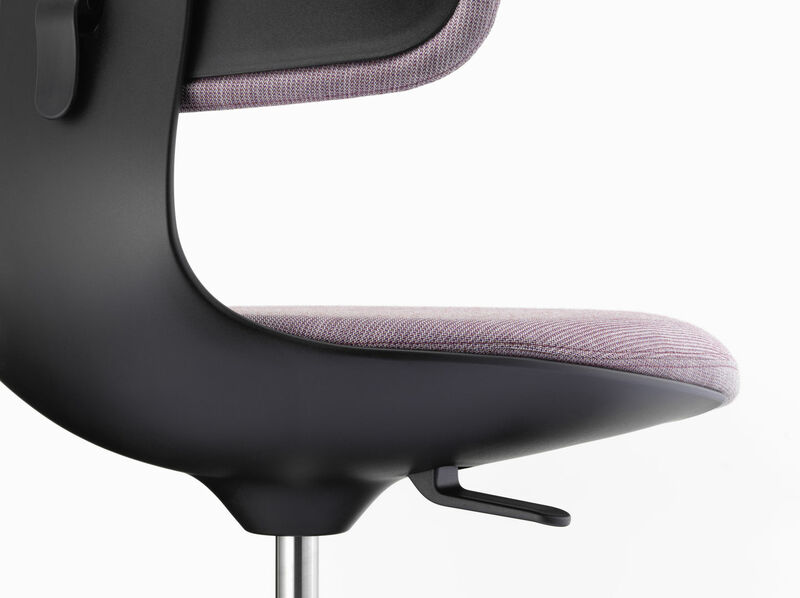 Plano is a robust and versatile fabric suited to a wide range of applications, making it an ideal choice for office environments. Due to the flat texture of the polyester weave, Plano has an understated appearance that is compatible with countless products. Plano is available in 39 colours. Flat woven fabric with a lively appearance that derives from the contrast between its even structure and the natural melange of colours. The combination of yarns with varied hues creates a harmonious and yet vibrant look. Thanks to its high wool content, Tress is a durable, easy-care material with a home-like aesthetic that belies its suitability for use in demanding settings such as office environments. Tress is available in 22 colours. Volo is a finely structured wool blend with a refined weave that gives it an elegant appearance. This expressive textile shows strong solid colours to full advantage while simultaneously offering pleasant tactile qualities. With its soft look and appealing texture, Volo is a perfect fit for home interiors, but it is also well suited for use in the contract sector. 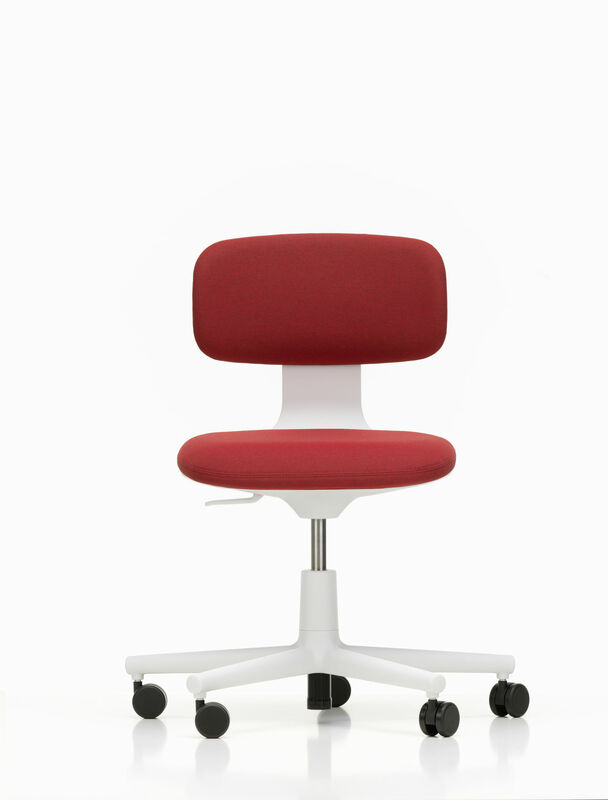 Volo is available in 17 colours. The high percentage of natural fibres gives Twill very pleasant tactile qualities and an inviting, elegant appearance. Twill is extremely durable and has excellent abrasion resistance (min. 100,000 Martindale cycles, DIN EN ISO 12947-2). Twill is available in 18 colours. Konstantin Grcic trained as a cabinetmaker at the John Makepeace School in Dorset, England, before studying industrial design at the Royal College of Art in London. Since founding his Munich-based practice Konstantin Grcic Industrial Design (KGID) in 1991, he has developed products, furniture and lighting for leading design companies. He has curated a number of design exhibitions, including DESIGN REAL for the Serpentine Gallery, London (2009), COMFORT for the Saint-Etienne Design Biennale (2010) and black2 for the Istituto Svizzero in Rome (2010). In 2012 he was responsible for the exhibition design of the German Pavilion at the 13th Architecture Biennale in Venice. 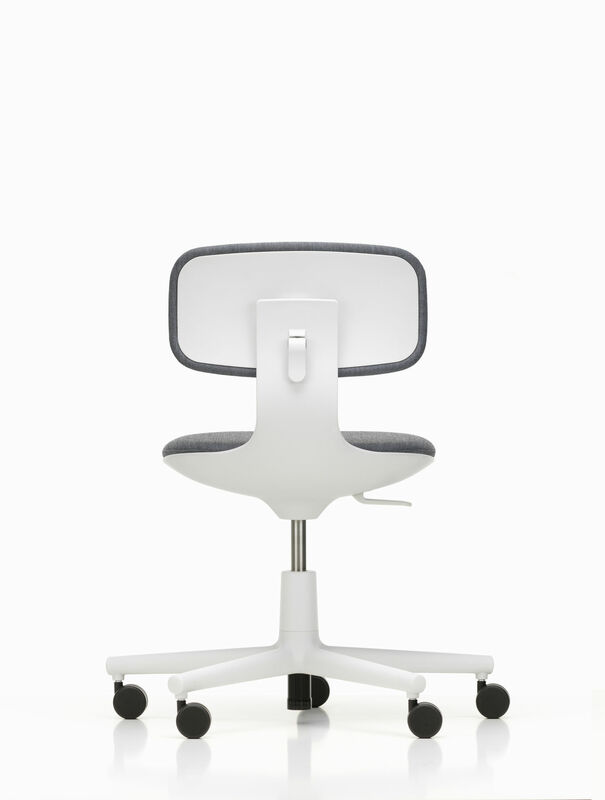 Rookie is a small, agile and – by office standards – unconventionally simple chair. It provides a high level of immediate comfort with a minimal number of adjustments. 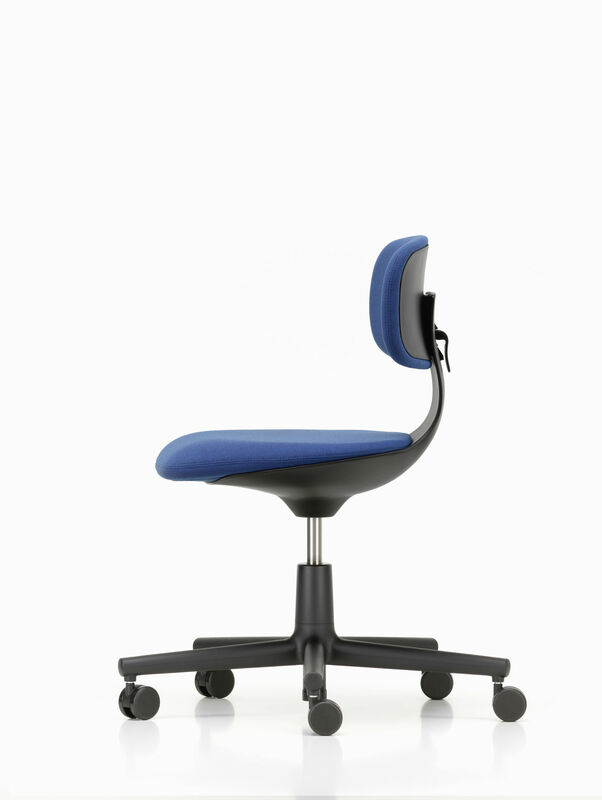 Both the seat and backrest of Rookie are height-adjustable. 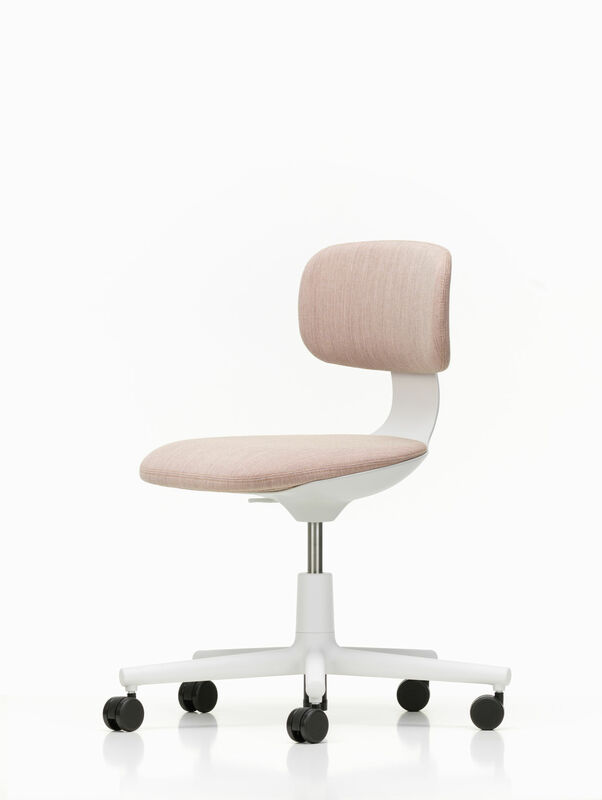 In addition to these classic functions of a task chair, other ergonomic features are directly incorporated into Rookie’s structural design: the backrest flexes slightly when pressure is applied, and the front edge of the seat is unusually pliant. 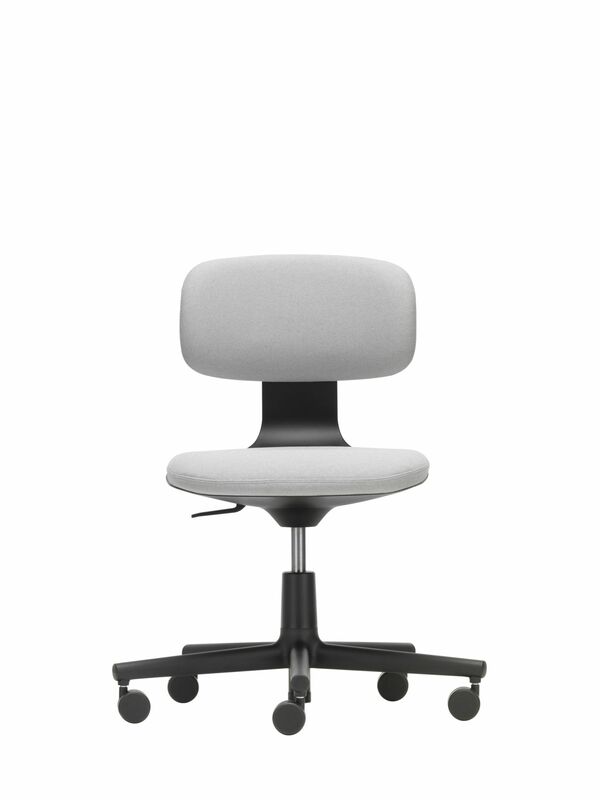 A few aesthetic details reveal affinities with Allstar, the first office chair developed by Grcic for Vitra. 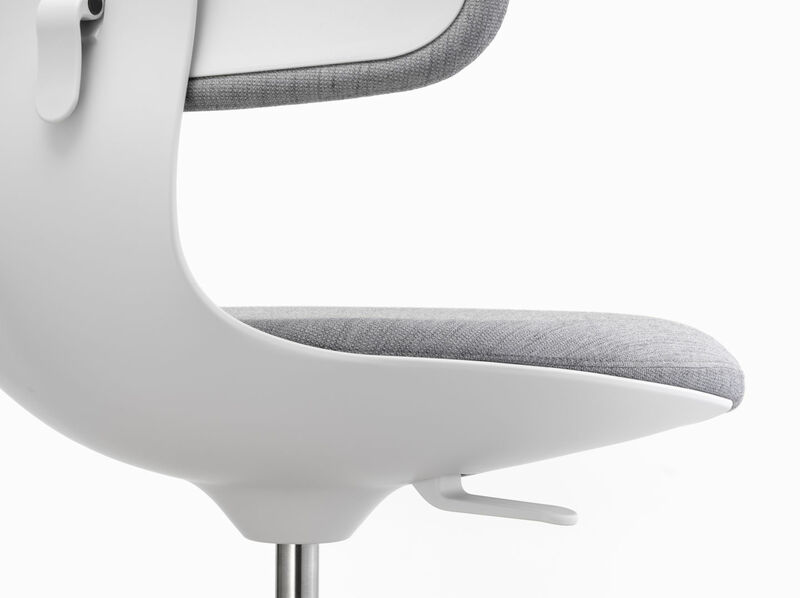 Just like Allstar, Rookie is an excellent seating solution for modern offices, universities and other environments where users with mobile work habits do not want to make a lot of individual adjust- ments every time they change locations.